Nigeria has freed another 51 Boko Haram suspects in the latest round of dropped cases for lack of evidence, the justice ministry said Monday. Over the course of last week, hundreds of suspected Boko Haram extremists appeared before a court at the Kainji military base in central Niger state. A total of 526 suspects have been released from custody after it was found there was not enough evidence to prosecute them, underscoring concerns from human rights groups that the Nigerian military has been arbitrarily arresting and detaining civilians during the Islamist insurgency. "Among the reasons for setting the 526 suspects free are want of evidence, under aged (minor) and persons suffering from mental illness," ministry spokesman Salihu Othman Isah said in a statement. Only one suspect, Modu Maina, was discharged and acquitted by the judge, Isah said. "Maina confessed that he was forcefully initiated into the Boko Haram group but relocated to Lagos to avoid being arrested in Bama," Isah said. "He said that all the confessional statements he made to Joint Task Force (JTF) was under alleged torture." Isah added that "about 205" detained suspects were convicted and sentenced to imprisonment, with jail terms ranging from three to 60 years. The remaining 73 cases have been adjourned until the next hearing. Nigeria's security services have been repeatedly accused of abuses against civilians during the insurgency, including extra-judicial executions and enforced disappearances. In total, over 1,000 people have been processed in a string of mass hearings which began in October at four specially-constituted civilian courts inside the facility. 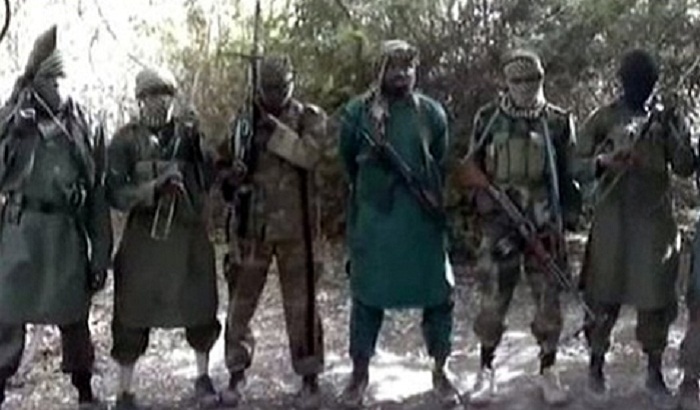 Boko Haram's bloody quest since 2009 to establish a hardline Islamic state in remote northeast Nigeria has left at least 20,000 dead and forced more than 2.6 million others out of their homes. The violence has also spilt over into neighbouring Cameroon, Chad and Niger.